It had happened before. Still it startled me, as if an April Fool’s Day trick. 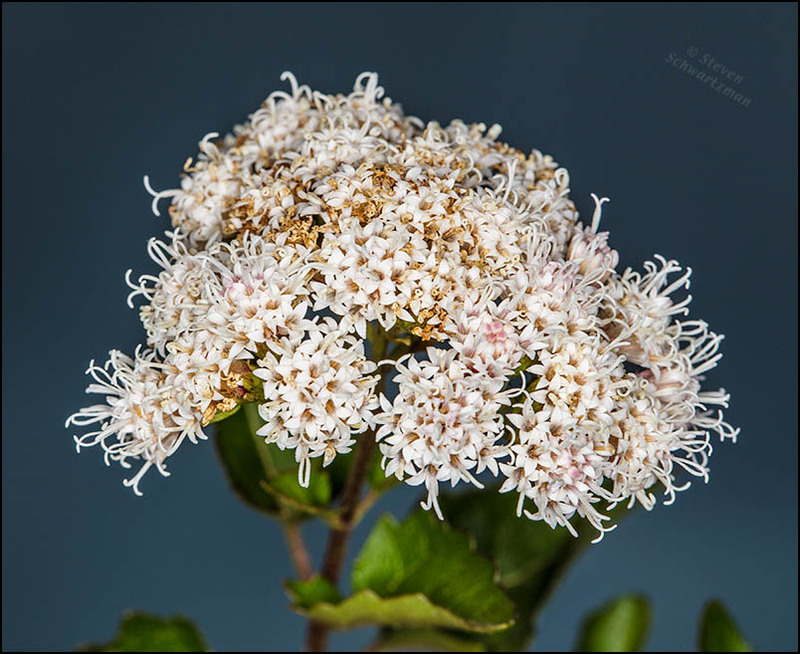 The field guides say that Ageratina havanensis (a bush known as shrubby boneset, Havana snakeroot, white mistflower, white shrub mistflower, and just plain mistflower) blooms in the fall. Nevertheless, here it was putting out flowers in my neighborhood on April 1, half a year out of sync. My encounter came late in the afternoon, with the sky heavily overcast and the wind blowing. Like it or not, that combination called for flash.